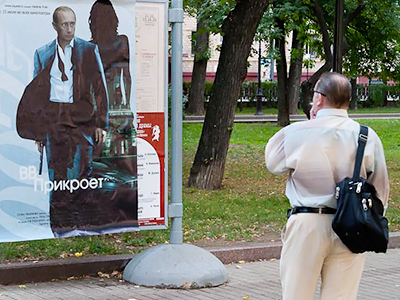 Posters showing a James Bond-esque image of PM Putin have appeared on several streets in central Moscow. The ads are linked to an urban quest game, but organizers say they are not responsible and fear the authorities will not appreciate the notices. The posters have been adapted from those for the film Casino Royale, the 21st installment of the Bond franchise and the first to feature Daniel Craig as the British secret agent. However the unknown creators made several alterations, changing the text and most noticeably exchanging the actor’s head with that of Vladimir Putin. The text says: “Xquest.ru presents Vladimir Putin. 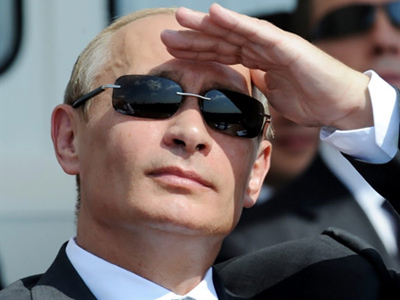 In all movie theaters starting July 15.” The faux film’s tagline is “VV will cover,” with “VV” apparently standing for Vladimir Vladimirovich Putin’s first name and patronymic. The phrase sounds all the more dubious, since the posters had been glued atop those of real films. Xquest is a game where players are expected to go around the city doing “secret missions” like finding and breaking a code, or finding a “stolen” car at a parking lot. 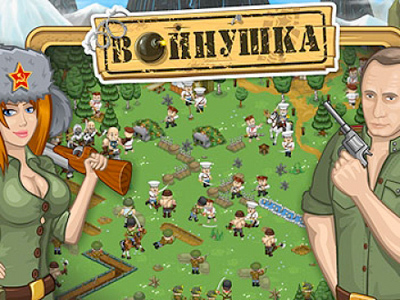 The players pretend to be secret agents in the service of the Russian Federation, and Vladimir Putin and Dmitry Medvedev are mentors and veteran agents too, according to the game’s plotline. The game’s administration says creating an unusual ad for the game was one of the tasks, and the posters must have been made by one of some 60,000 players. They never expected it to be that massive, nor the use of the image of the real prime minister, they say. “We didn’t expect such public attention. Frankly, our adrenaline level is pretty high now over it,” one of the organizers told Life News online tabloid. The concern may well have some foundation, since the prime minister’s office commented on the incident with some frustration. Putin’s spokesman Dmitry Peskov said, adding that the Moscow government’s committee for advertising will deal with the issue. “Even if those posters have been placed unofficially, it’s still the committee’s problem,” he said. Producer at Xquest.ru Pavel Rakhman says they did not expect the game would turn out this way. He says it was not his or anyone else’s order. Rakhman hopes that they have not caused any damage. Though if necessary, the team is ready to be responsible for the posters. 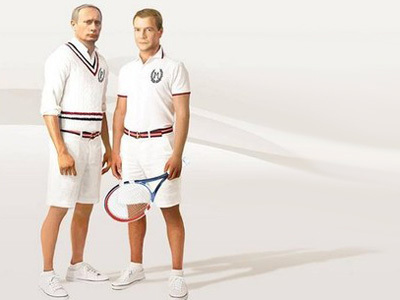 Putin’s image is frequently used by firms to attract attention to their products, as well as by political activists. The prime minister was the face of a night party at a posh club in Moscow, was featured in an online game and starred along with President Medvedev in a sports collection commercial. The prime minister almost always disapproves of such moves and takes legal action against those who try to exploit his image for profit.